Every AV project comes with a unique set of challenges. When installing new digital signage equipment into an existing structure, integrators may have to work on a location that was built before digital signage even existed. 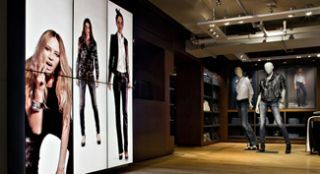 This can create a laundry list of challenges, from protecting equipment outdoors to creating video walls where walls don’t exist. Here are five mounting challenges that integrators may face when placing digital signage in an existing structure, and the tools they can use to resolve them. 1. Minimize Cost, Maximize Creativity. One of the most common challenges in any installation is to meet budgetary guidelines. This challenge is particularly complicated for existing structural conditions because it often takes creative thinking to integrate equipment into a structure that may not have been built with AV in mind. Creative thinking means offering good, better, and best solutions that will deliver on an eye-catching project while still fitting within budgetary constraints. Ensure that the install is completed as quickly and efficiently as possible. Saving money on a “bare bones” solution doesn’t add up to much when that money goes toward paying the installers for more time spent on site. The solution to combat against a tight deadline is to use a mounting solution that makes installing as fast and easy as possible. What about trying to find the best place to put digital signage in situations where the structure doesn’t appear to support the installation? A classic example of this might be a situation where the customer wants to feature a vibrant, eye-catching video wall, but simply does not have a load-bearing wall to place one. These scenarios require an expert to determine whether the structure can support a variety of video wall suspension options, such as a video wall stand, ceiling suspended video wall, or semi-custom solution. Any installer will tell you that there is no such thing as a flat wall. Every wall is its own “unique snowflake” of bumps and curves, and it becomes an installer’s job to use mounting solutions that will more or less correct those imperfections. We’ve all seen displays that were carelessly installed, with thousands of dollars adding up to walls that are so badly misaligned that it completely kills the visual effect. This is where post-installation adjustments make all the difference. Taking digital signage outside brings a variety of unique concerns, including equipment protection from outdoor environments. When working with existing outdoor structures, it can become complicated to mount digital signage without compromising the safety and structural integrity of the building. An extended version of this article originally appeared on the Premier Mounts blog.